Anti-Aging is something of a buzzword in today"s marketplace: the medical community, the marketing community and nearly every community in between seems to have been captured by this craze. What exactly is anti-aging? 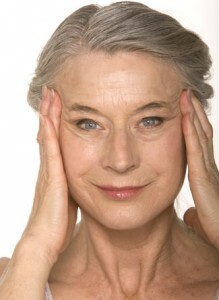 The concept is to reduce the visual signs of a person's age to make one appear younger, more vibrant and more beautiful. While there are a range of methods and procedures available to the public to accomplish anti-aging, the patient themselves must be willing to make changes to his or her lifestyle in order to sustain the changes provided by his or her physician. Botox, or Botulinum toxin, is a neurotoxic protein that is in fact one of the most poisonous substances known to man! Despite the dramatic definition, the use of very small amounts of this toxin to treat muscle spasms in anti-aging medicine is widespread. Botox relaxes muscle spasms in a way that can reduce wrinkles, by training specific muscle groups to relax and lower tension. Botox effects wear off between three and six months, and will need to be re-administered to maintain results. From the dental aspect, Botox can be used to control a gummy smile. Botox relaxes the muscles in a person's upper lip – known as hyperactive upper lip – which contributes to a gummy smile. When Botox is injected into the muscle group in a person's lip, the toxin actually relaxes the muscles and restricts the muscle"s ability to overly contract upward thus showing excessive gum tissue. Botox can also be used to control facial muscle spasms that contribute not only to wrinkles and frown lines, but to headaches as well. By undergoing Botox therapy, the muscles in the lips and face can be trained to eventually relax on their own. dual-fold: the patient must be committed to their health in order to achieve long-lasting results. Patient compliance is key in any medical treatment plan, but when it comes to anti-aging, a healthy lifestyle can make all the difference in the world. Diet is one of the most important factors in patient compliance. Everyone has heard the age-old saying "you are what you eat," – it is absolutely true.